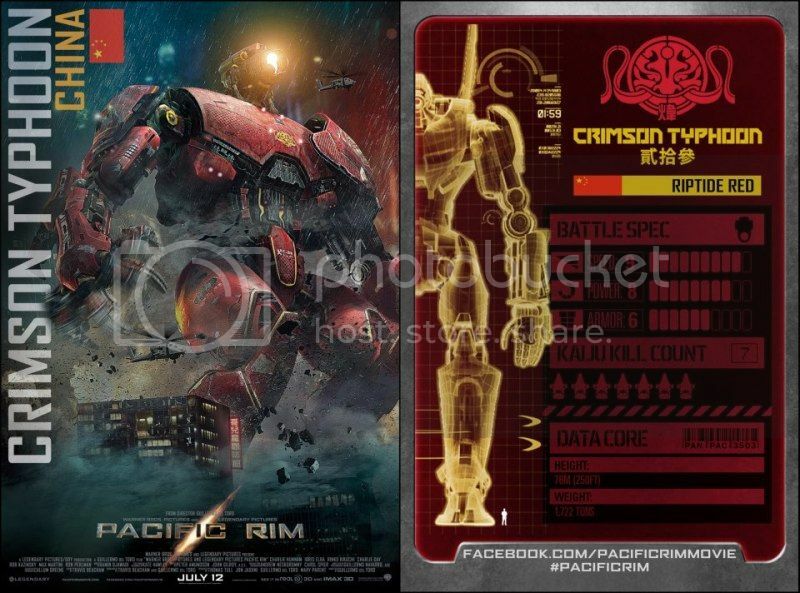 I’m not going to hide my excitement for Pacific Rim (here and here). Robots fighting dinosaurs. They could just make the whole movie about robots chasing dinosaurs and smashing stuff without any story and it still would be awesome. This morning, what I saw blew my mind. Effin Robot Stats! Let me say that again. Robot Stats! 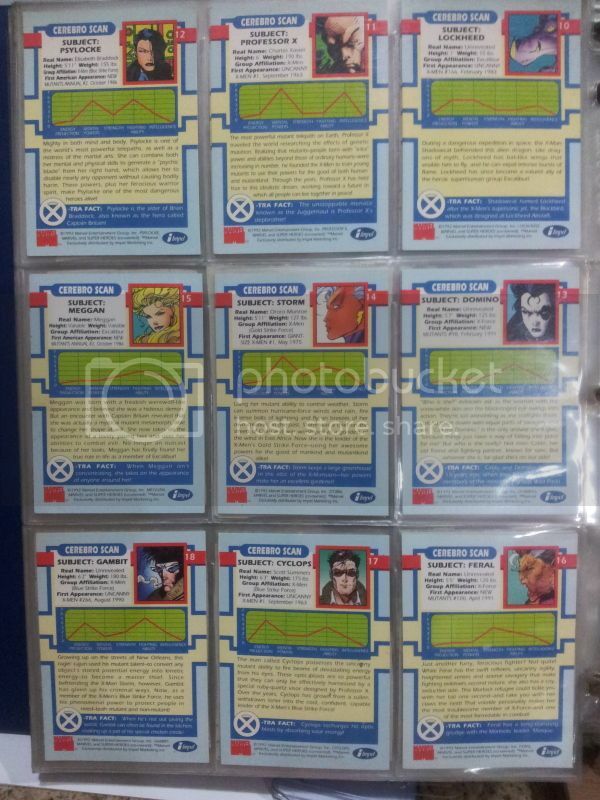 Part of the reason why Marvel trading cards were so awesome back in the day was because each character had their stats on the back of the cards. This made it easy to somehow decide or at least discuss who would win in a match between heroes or villains. 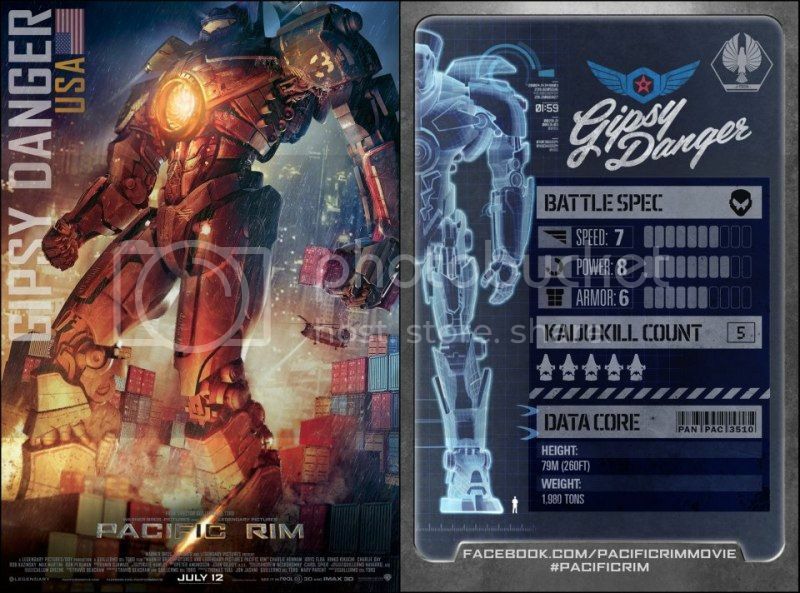 Going back to Pacific Rim: from what I can tell, various countries have their own versions of these robots or as they’re called in the movie: Jaegers. China, Japan, USA, Australia and Russia all have something up their own sleeves. 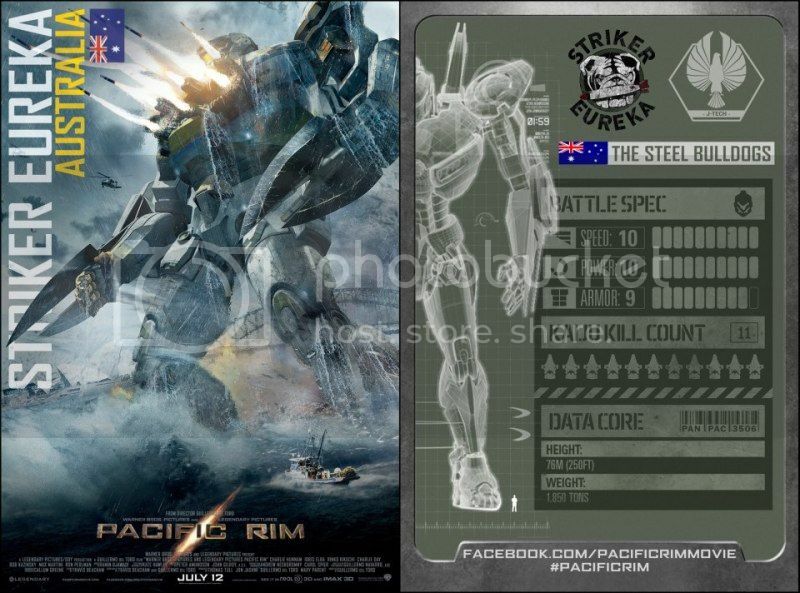 Looking at the robot stats, Australia has the best Jaeger with speed, power and armor all topping the charts. They also have the highest dinosaur or “Kaiju” kill count. Uncharacteristically, Japan’s Jaeger has the worst stats and kill count. 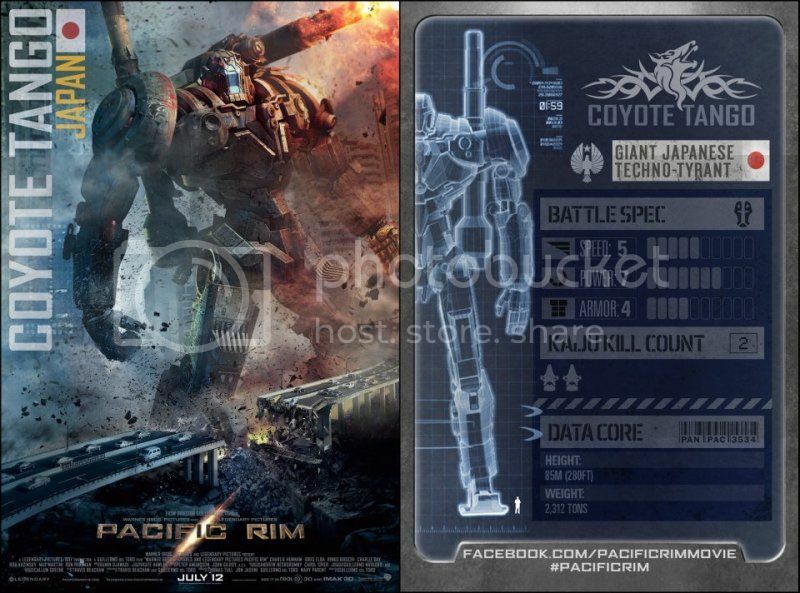 This has me at a loss since I would think that among all countries in the list, Japan would be the best at making these mechs. 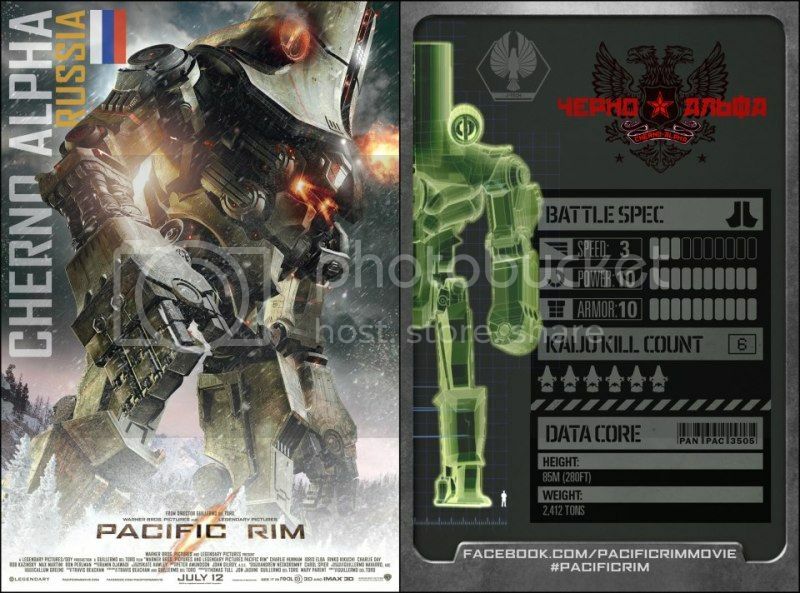 But who cares.. the more mechs killing dinosaurs the merrier. Whoever wins or loses, I still win.